What spooked me is the short-term of most of the debt. There could be a reason to borrow long-term and hold cash, but to borrow short-term and holding cash makes no sense to me. Yeah agree that makes less sense than borrow long-term, but both are weird. “Sold the majority of my position in Consciencefood, and will sell the remainder soon.”. Don’t make it so easy to frontrun yourself! From the perspective of process, getting out was a good decision: life’s too short and opportunity costs too high to mess around with stocks that one is not sure of. That’s one of the reasons why why your blog is one of the best and at the top of my reading list. Still, I’d never have guessed that it was the debt plus cash issue that would prove most puzzling or troubling. It may not be a Harry Singleton move but, in my experience, it’s not so unusual: even GM carries debt and cash in equal measure if memory serves. From my perspective, the presence of cash is a good sign as is the presence of debt: after all, the two banks presumably did their due diligence and secured the loan with assets that presumably exist. He has had at least two clear opportunities to tunnel cash away: (a) the fire — the insurance claim could have been represented as being inadequate and at least some portion of the factory written off, with the remainder f the payout funneled away ; and (b) the capex: he imported German beverage machines (leaving a customs and excise paper trail) and then invited something like 11 analysts from several brokerages (not just the house broker) to come and have a look-see. Showed the machines, took them to the Carrefour, etc — after the company had already gone public. Nothing about the operating numbers troubled/troubles me, I have to say. CSF is a North Sumatra operation; North Sumatra is basically the Medan to Bandah Aceh corridor, a tightly-packed strip and a straight shot for trucks. Ten trucks and one warehouse can handle that volume and the depreciation figure is not inconsistent with that. A brand new Mitsubishi Fuso will set you back 450 million Rp today; that’s 280 million Rp in 2007 money, which implies a useful life of 12 years which is not unreasonable. 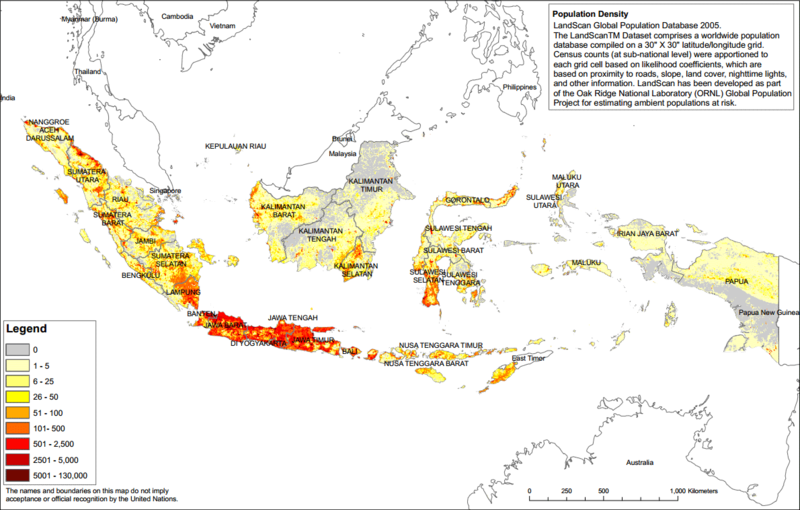 Java is more densely populated than Sumatra as a whole but not more so than that strip; 45 million in Sumatra and that strip accounts for something like a quarter of the Sumatran pop. If you look at Indofood CBP’s operations in Java, it’s a great deal more complex: more types of products being delivered to more types of outlets from 18 different warehouses. Is it going to be as cheap on a unit cost basis as moving one product along one highway as CSF does? I think it unlikely. Anyway, it’s always good to hear multiple points of view on a stock and I certainly understand your decision to exit. The debt plus cash issue wasn’t the biggest issue, but just one of the questions I couldn’t answer. It doesn’t really make sense. And yes, there are a lot of companies that have cash and debt at the same time but in those cases it could be they raised long-term debt that isn’t needed anymore, or cash is stuck in (foreign) subsidiaries. When you are operating in a single country with a single subsidiary it’s a lot harder to find a plausible explanation, especially for short term loans. About the transportation costs; sure Indofood is a more complex operation, but they also have a higher market penetration and I think they also carry higher priced items. And it’s not like it’s a small difference, Consciencefood is spending 3x less money on transport. That’s huge! Maybe you are right that they just have a great spot in Sumatra, for me it’s just another question I can’t answer. And things like that are in the end the reason for me to exit, although as already said above not an easy decision because there are also a lot of good reasons to believe that this will turn out well. But there are so many stocks out there: I don’t think I need to own this one. so many red flags here, not worth the time exposing them all. margin weights vs peers, own transportation/SG&A vs other operating expenses categories, lease vs land sale 3x current size locally while expanding in jakarta, who catches fire (ahem). good thing the workers were wearing medical masks in those factory visit pictures i guess. I’ve been following your blog for a while, and am impressed with your thought process and research. This post is very high quality. Hi. Great write up on your website on a number of stocks I have invested in. I had looked at and bought Conscience around two years ago but then sold out. I got spooked by their cutting their dividend soon after the ipo while they still had lots of cash. 2nd point was that they did were not listed on their home country exchange. Have not finished reading all your posts but have a small position in Nam Lee.